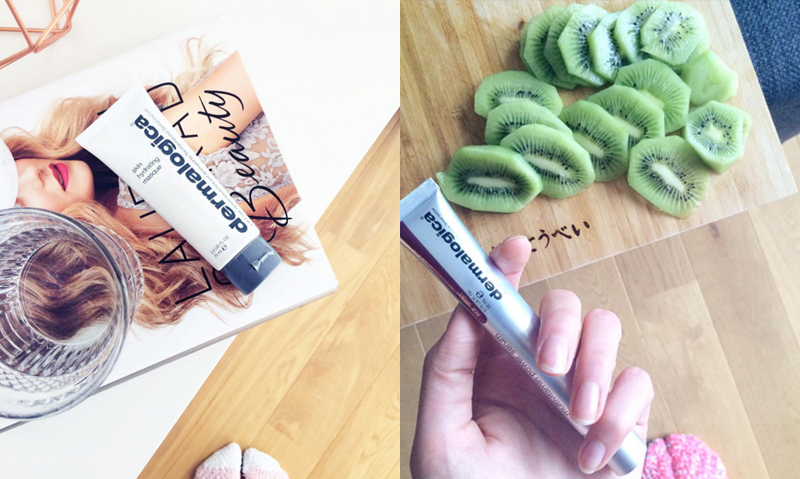 Whether I'd like to join Dermalogica for their detox challenge during the month of February? Well of course I would! 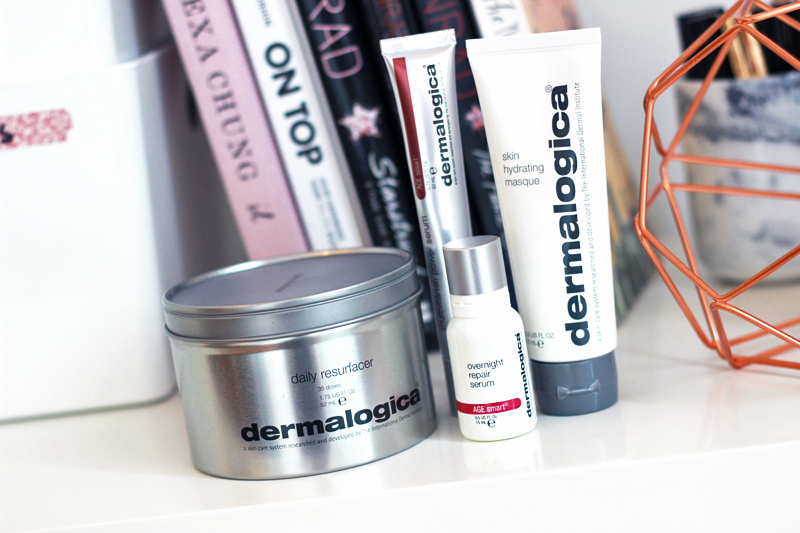 I haven't tried much Dermalogica before (although I have been working on an article about their new store in Ghent & my first experience for a while now.. #badblogger), so I was very keen to participate and discover four of their star products to both nourish and brighten my dull and dry winter skin. Let's talk #DermDetox. Drink more water (at least 4 glasses a day)! I drink a lot of water a day. If I don't I feel really dehydrated - so I absolutely have to. Sometimes I'll forget to drinking enough water at the office and will definitely feel the effect in the evening. I should work on drinking more water throughout the day instead of binging on 8 glasses during the evening, but overall my water intake is very good. And don't forget you can also count tea to your water intake! Use the Skin Hydrating Mask. I really loved this mask! It's so fuss-free and straightforward. It's non-sticky, you can use it for fifteen minutes or choose to leave it on overnight and you immediately feel a difference. My skin feels more comfortable, soft and hydrated. Especially now during the winter I really need to use face masks often to get rid of dry patches and reinstate that glow that comes so easy and naturally in summer. Eat more vegetables and fruits (at least six a day)! I will admit that I'm not always consistent with my fruit intake. I usually have porridge in the morning with one sliced kiwi, but after that it all depends on what I find in the office and whether I stocked up on fruits at the grocery store and haven't forgotten all about them. During winter time I really love clementines, but during summer I am happiest as I am crazy about berries and melons. When it comes to veggies I am sure I eat enough. I often have salads for lunch and in the evening our plates are usually half filled with veggies. I can't believe I used to hate certain veggies like bell peppers or courgette as a kid! I could eat a whole plate of them now. Use the Multivitamin Power Serum. This serum contains vitamins C, A & D and promises to combat fine lines, hyper pigmentation & rough skin texture. I have used these types of serums before and feel like they do great things for skin texture and they are a great help in getting rid of hyper pigmentation. This include acne scars - they can be so hard to get rid of! I do however struggle with knowing which other products I can combine, as I'm often afraid I'll aggravate my skin when layering too many exfoliating products at once. So always be careful with layering and get some professional advice when in doubt.. This is a tough one for me. I am not too good at keeping to sports resolutions.. I have been meaning to get subscribed to my local gym, always promise myself I'll pick up running when the weather gets better and always seem to have a reason (some more legit than others) to skip yoga. I really do want to shed a few pounds though, so I know I have to do something about this attitude. I think the hardest part is getting started - after a few weeks hopefully I should be actually looking forward to working out! I wasn't sure whether I'd like the separately wrapped exfoliating pouches (that you need to slide on top of your finger for easy use), but I love them! Hydroxy acids will exfoliate the skin, Japanese Unshiu citrus peel will brighten & antioxidant tea extracts will soothe the skin during this process. This is one of those treatments that will give great visible results after continued use, so be sure to use it daily for maximised effects. I definitely struggle with this one too. I go to bed way too late as I'm always trying to get the most out of my evening, but it doesn't mix well with my working life as I have too few hours during the day to do everything I want. And I also like to include 'relaxing' as an activity, as I don't feel like it's healthy never to sit back and just enjoy some peace & quiet. And I also might have a little bit of an information addiction which keeps me clustered to screens longer than I really should.. This is definitely a work in progress. Use the Overnight Repair Serum. This is a great product to add to your existing routine. No need for an extra step! You just add a few drops of the serum to your regular night cream (or you could skip the night cream and just use the serum) for added benefits. This serum largely consists of a blend of oils, like argan oil and rose hip seed oil. I am a big fan of using oils at night, so this is a great addition to my little oil collection.